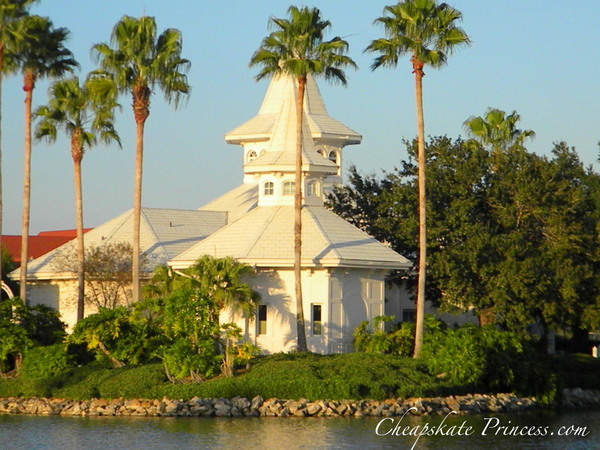 If you are looking for the top of the line Disney World Resort accommodations, then look no further than the Grand Floridian Resort & Spa. 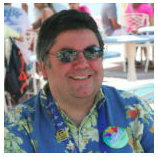 When he was initially planning the resorts built in close proximity to the Magic Kingdom, Walt Disney planned the Polynesian resort to directly reflect Adventureland, the Contemporary Resort to reflect Tomorrowland, and the Grand Floridian was designed to mirror the splendor of Main Street, U.S.A.. The resort’s outer lodge buildings — Sago Cay, Sugarloaf Key, Conch Key, Boca Chica and Big Pine Key—are named for islands in the Florida Keys. Inspired mainly by San Diego’s spectacular Hotel Del Coronado, the Grand Floridian seamlessly blends Victorian elegance with modern-day amenities. The resort contains 867 rooms among six buildings. The monorail stop is designed to resemble a Victorian train station, leading you into a five-story lobby high-lighted with incredible stained glass domes. Glistening chandeliers, an aviary, potted palm trees and a grand piano providing live music add to the lavish ambiance here. 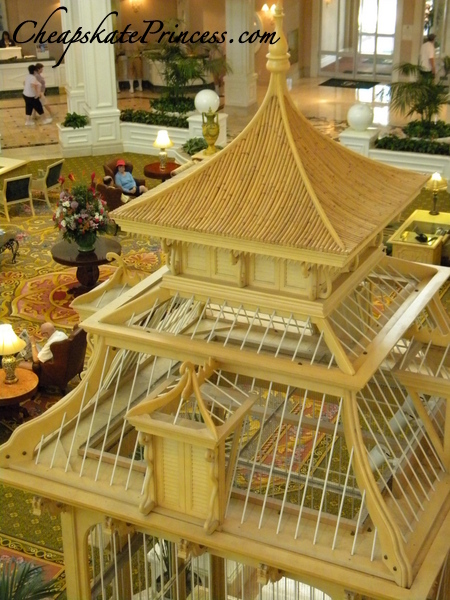 An open-cage elevator transports guests to the second floor shops and restaurants. This resort is oh so lavish. Are there anything fun can you do here for free? We have gathered together an entire list of over 30 activities and created a Cheapskate Princess Guide, so get ready for a trip back in time into old Victorian elegance, in search of freebies! You can watch the Magic Kingdom fireworks from one of the many Disney resorts on the monorail circle. My favorite resort for this view is the Polynesian, with the fireworks directly across the Seven Seas Lagoon, but that beach view has been blocked somewhat by the addition of the DVC rooms out over the lagoon. 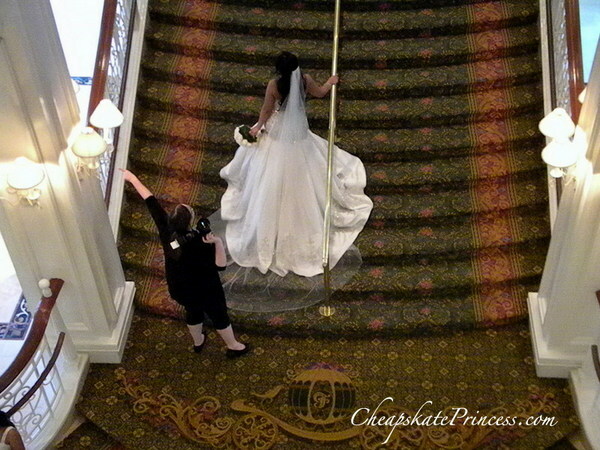 But even at the Grand, music will be piped in. So while you might not be at the Magic Kingdom for fireworks, if you are perhaps dining at the Grand Floridian late in the evening, step outside to see what you can see. 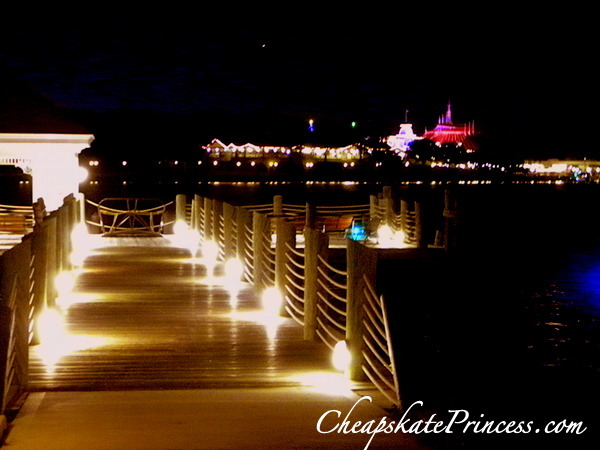 Perhaps the best place for viewing is on the pier leading to the transportation boats. While there is really no good place to sit and rest your feet here, there are no trees in your way either. Have a seat and enjoy the show! Camp fires at resorts offer free marshmallows and roasting sticks for resort guests. Complimentary campfire activities can be found at 14 locations at the Walt Disney World Resort, but the Grand has an especially beautiful view of the Seven Seas Lagoon. Disney has an “open resort policy” where you don’t have to be staying at the resort to go visit, which is referred to as “resort hopping.” This would be a great time to determine what section of the property you might like to make reservations for on your next trip or inquire at the front desk about rates and current discounts. 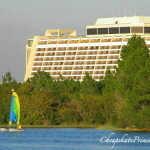 Hop a boat to the Magic Kingdom, and with one more boat transfer, you can be at the Polynesian, the Contemporary, and one boat from there is Wilderness Lodge. Parking is also free while you visit the resorts, with the general understanding that this is for a maximum of three hours. The length of acceptable time varies with who you talk to, but you’ll be finished walking around the Grand in that amount of time anyway. Come for the campfire, and then stay for a movie. Take in one of the many free “Movies Under the Stars” outdoor movies at the WDW resorts following the campfires. Huge screens are blown up for nightly movies outside, although this can depend on weather. At some resorts, you will need to bring a towel or blanket to sit on, and at others, they provide chairs. Call the resort desk for specific information. Movies and entertainment are subject to cancellation or change without notice. For movie schedules, please check with the Front Desk at your Walt Disney World Resort, or call 407- WDW-PLAY or 407- 939-7529. It’s just a short walk over to the Wedding Pavilion, at most 10 minutes if you walk slowly enough to take in the sights. Look around and perhaps plan your dream wedding! Read: Take a Break During Your Disney World Vacation for This Free Activity! There’s a walking/jogging trail that starts at the Beach Pool entrance and loops past the Polynesian Resort’s beach and back for about a mile. Fort Wilderness Campground, 9:45 p.m.
On Mondays and Thursdays, enjoy the Grand’s “Showkeeing Parade”as the Grand Floridian Ladies twirl their way to work through the courtyard with their parasols. With up to fifty Mouse Keepers, this tradition began when the resort first opened back in 1988. Read: 16 Free Indoor Activities at Disney’s Wilderness Lodge…Gotta Love Free! Under the porte-cochere, a vintage car and carriage greet you as you enter the resort from the ground floor. One runs under its own horsepower, and the other would run under external horse power, if there was a horse around. Named so aptly, “The Grand One,” this 1.5 million dollar boat launches from the Grand Floridian, and for you big spenders, you can rent it for $299 an hour plus tax (2018 price) for up to 18 of your closest friends. 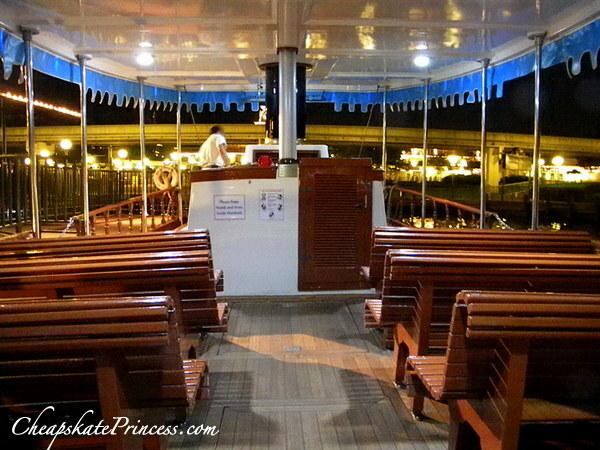 The yacht is popular for wedding receptions and is often used to watch the fireworks show over Cinderella Castle from the Seven Seas Lagoon. 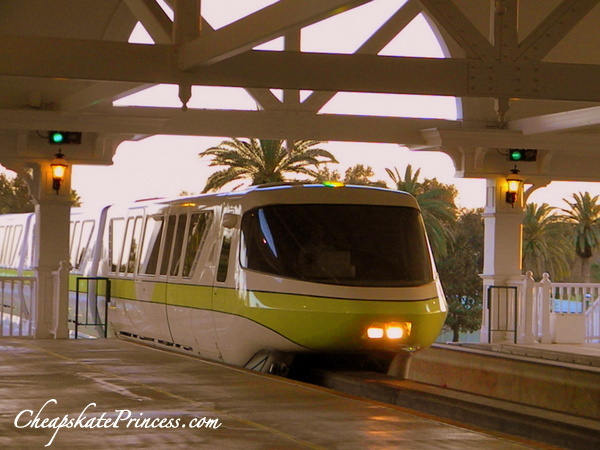 How often do you get to ride a monorail where you live? The answer for me is a big huge never. 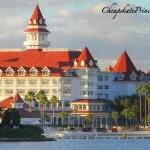 The Grand Floridian Resort resides on 40 acres along the Seven Seas Lagoon. Walking here, as if your feet weren’t tired enough, is a visual feast for the eyes, including glimpses of beautiful landscaping, several fountains, white sandy beaches, a marina and a dock, water craft rentals, a beach pool with waterfalls and zero-depth entry, and a yacht for charter. When you walk around, you’ll feel like you are walking around a resort where your grandparents might have stayed back in the day. 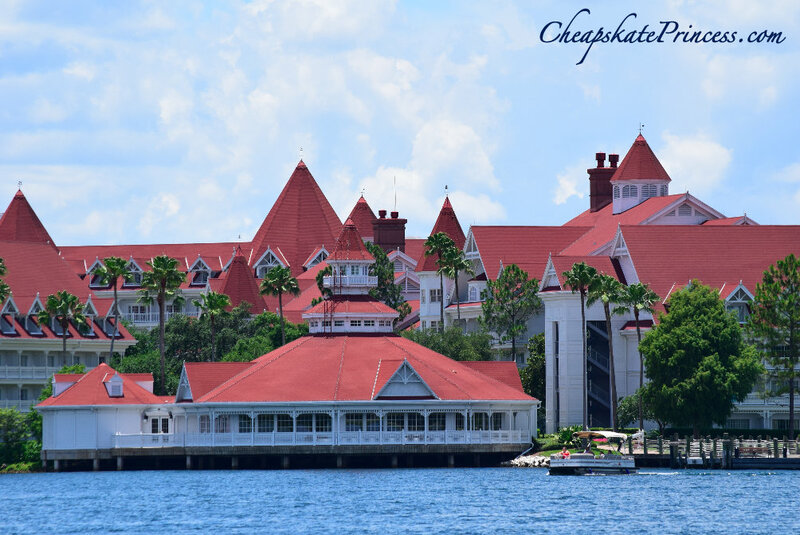 There may be no better place in all of the resorts to window shop, or actually real shop if you have the inclination, than at the Grand Floridian. All their shops have their own unique personalities, and the merchandise they sell is all different from the others. 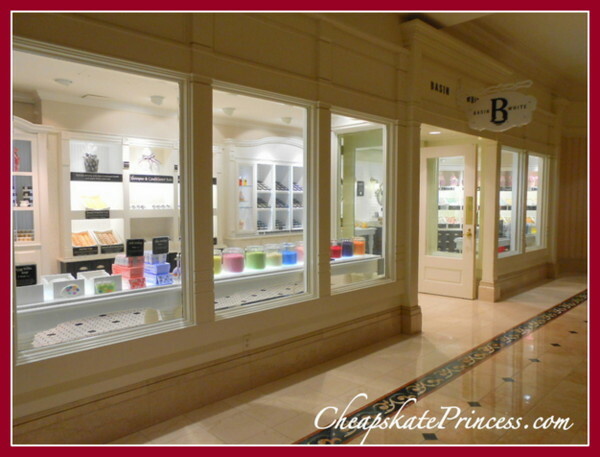 They also sell merchandise at this resort that you will not see at all the resort gift shops; some items are definitely upper end with brand names and big process, but you will also find affordable items like food, key chains, pins, and soap. Located on the first floor of the resort, Summer Lace features women’s designer fashions. This shop is open daily from 9 a.m. to 10 p.m. This gift shop feels like you’ve stepped into a designer boutique. Some of the famous designer names you will find here? These will vary from season to season, of course. Located on the first floor, just off the lobby as you walk out of the main area, Sandy Cove sells an assortment of items that won’t break the bank. This shop is open from 8am-10pm. baby diapers and formula, shampoo, etc. This gift shop can be found on the second floor near the monorail station. 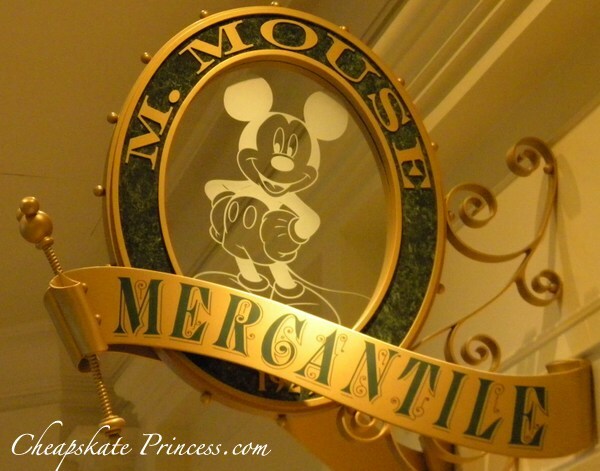 They carry Disney souvenir items including children’s apparel, toys, books, pins, and watches. This shop is open from 8 a.m. to 10 p.m.
Move Over Disney Dooney & Bourke…Make Way for the Newest Disney Vera Bradley! For the well dressed man in your life, Commander Porter’s on the second floor sells men’s apparel and some Grand Floridian-branded merchandise. This is your go-to shop for men’s designer clothing, including items from Tommy Bahama and Ralph Lauren Polo. Men’s fragrances, golf apparel, and gift items are also available here. This shop is open daily from 9 a.m. until 10 p.m.
Next to M. Mouse Mercantile, you can view your Disney’s PhotoPass photos at a kiosk and place orders as well. This photo location is open daily 8 a.m. until 10 p.m. While this doesn’t normally sound like a particularly fun activity, at Basin White, a retail store found on the second floor of the main lobby, you can wash your hands with sweet-smelling salt and sugar scrubs. They sell beauty and bath products, but Basin also sells free samples of hand lotions. Your hands will feel silky smooth after you finish your wash. Open daily from 10 a.m. to 10 p.m. For more detailed information on Basin products and locations, use this link. Disney Springs’ Basin: For $5.99, I Can Smell Like Disney All Day! 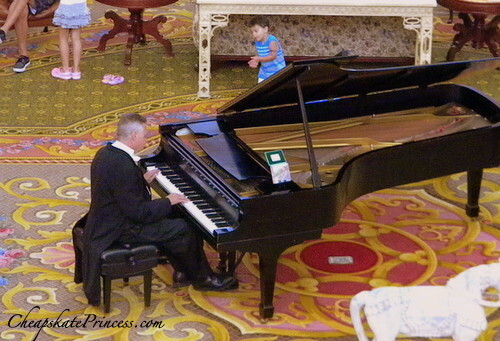 Beginning mid-afternoon, you will hear live music as soon as you walk into the lobby. 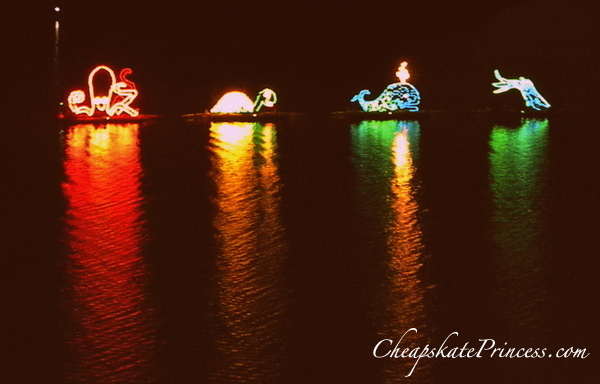 Starting around 3 p.m., a pianist starts playing and alternates with an equally talented orchestra until almost 10 p.m. There is no better place in all the Disney resort to hear live musicians performing mostly Disney-themed tunes, all for free. Little kids and adults alike will often dance along to the tunes, so grab your dancing’ shoes and join in! The attention to detail at the Grand is simply a cut above nearly all the Disney resorts. 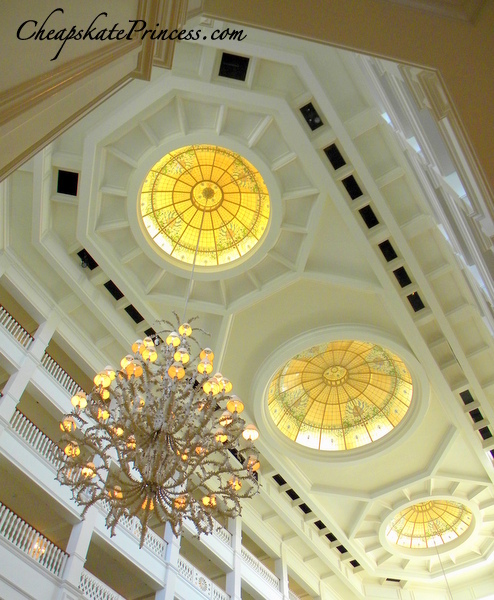 Chandeliers and stained glass skylights are some of the most impressive large elements you will see, but don’t miss the intricate tile work as you walk into the lobby from the monorail platform. You will think you have left present day and traveled back in time. While you look at the fine detailing of the hotel lobby, there is a television playing older Disney cartoons. If your kids are tired of walking while you resort hop and need a break, tell them to have a seat. This is also nice child distraction while the adults check in after a long drive or flight. There are hidden Mickeys everywhere you turn at the resorts and parks if you stop to look close enough. Some of the most often spotted Mickeys are on the back of the piano in the main lobby and on the weather vanes on top of the roof. Hidden Mickeys.org has a list for you, so you can get a jump on exactly where to turn your attention, which can allow you time for other activities. 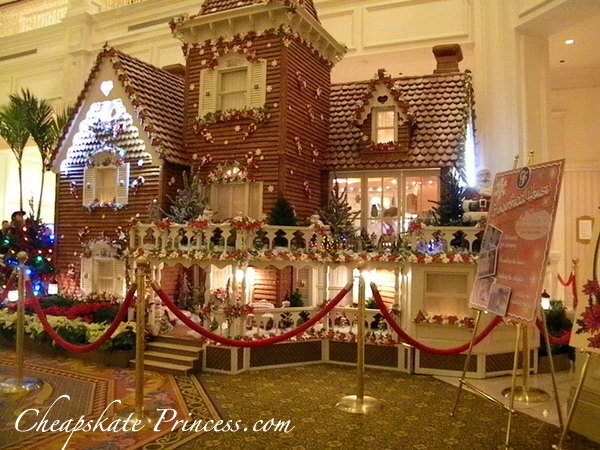 Use this link to their Grand Floridian page. There is a bird house in the lobby, which is two stories tall and contains no live birds, and for the life of me, I can not seem to locate any more information on this decorative item that has been found in the lobby for years. If you know the back story, leave us a comment so we can add it in. What sort of ingredients are used to make this fabulous once-a-year holiday creation? Decorated with a Victorian theme, you have got to see the bird cages, intertwined swans, and tons of amazing golden-colored ornaments adorning this humongous Christmas tree. 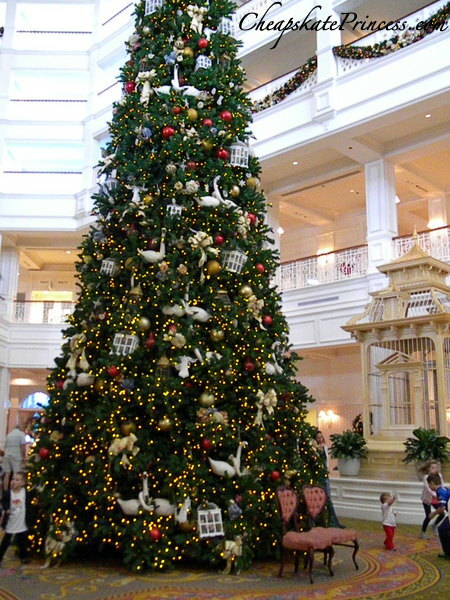 Assembled in just one night while guests sleep, the tree is four stories tall (40 feet) and sparkles with 45,000 lights. 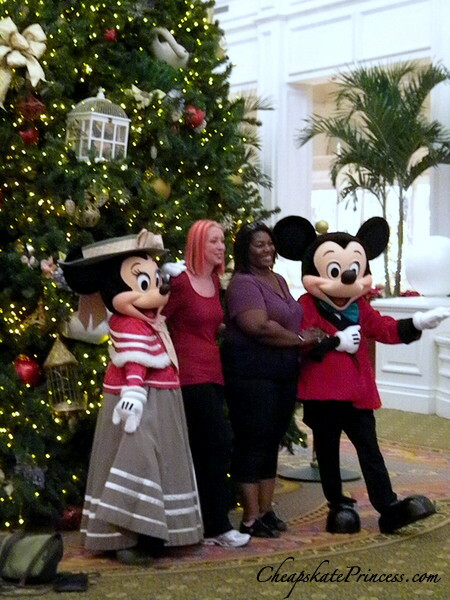 Mickey and Minnie Mouse, dressed in their Christmas finest, arrive to take photos in front of the grand Christmas tree. Lines are not that long, so bring your camera and ask a Cast Member to snap a shot of the whole family. This would make a fabulous Christmas card photo. 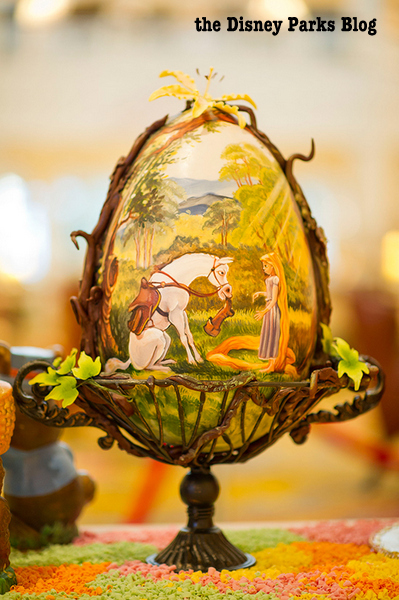 2018 was the 7th annual Easter egg display in the spacious Grand Floridian lobby with springtime edible works of art. While the days can vary from year to year, dates generally run the first week of April through Easter. The enormous hand-paint Easter eggs, ranging from 16 to 20 inches tall and weighing over 9 pounds, are usually tinted cocoa butter, and frequently, the eggs tell familiar Disney stories like “The Little Mermaid,” “Cinderella,” “Pocahontas,” “Lady and the Tramp,” and “Frozen,” all created with modeling chocolate, fondant, sculpted sugar and royal icing. 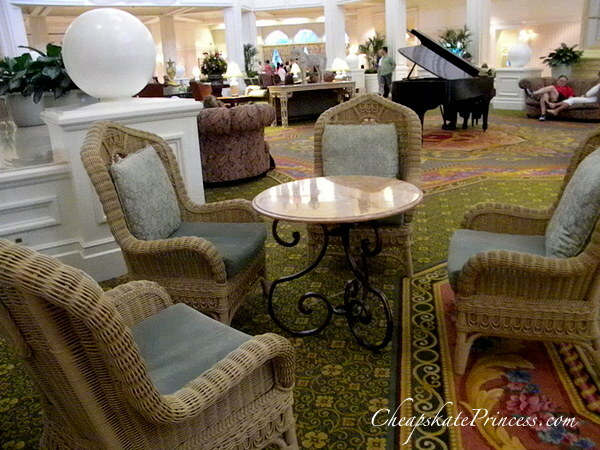 The lobby, unlike Disney resort Bay Lake Tower, has a plethora of seating, plus various tables and chairs. What better place for your own snack or picnic than a table within feet of a concert pianist? This is my favorite activity here at the Grand Floridian, because by the time I make it over to this resort, my feet are tired and I need a rest. Unlike some of the newer DVC resorts like Bay Lake Tower, there are plenty of lobby seats here to grab at almost any time. 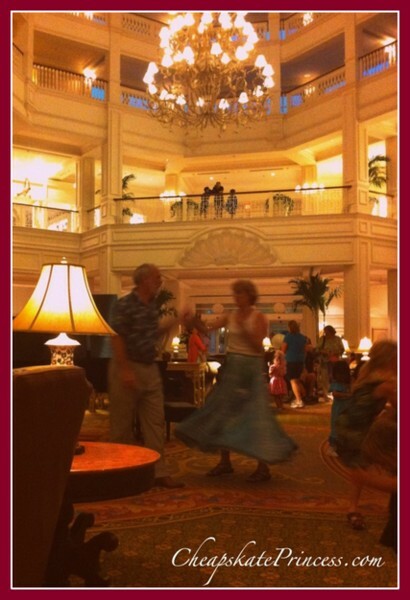 Listen to the sounds of happy people walking on their way through the lobby toward some other fun activity. 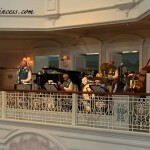 Listen to the oh-so-tallented musicians as they serenade you with your favorite Disney tunes. It’s truly heaven. 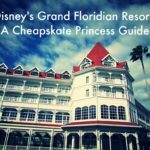 So there you go, over 30 activities that should be totally FREE at the Grand Floridian Resort and Spa. If you ever said,”Be sure to build time during the trip schedule to go resort hopping, because that’s free,” then you just might be a Cheapskate Princess! 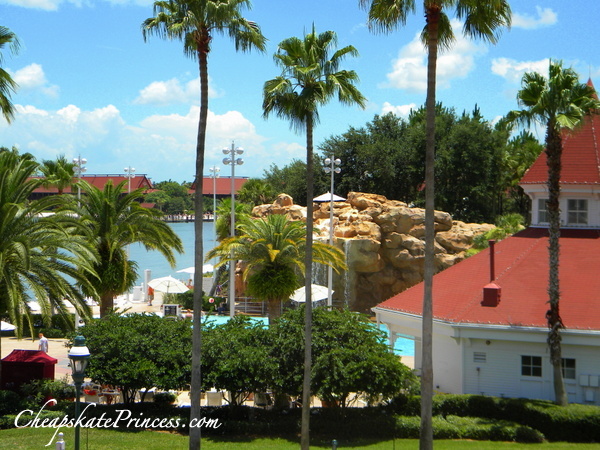 We have several more “Free at the Resorts” articles you might enjoy, if you enjoy spending time at the Disney Resorts without spending a fortune. 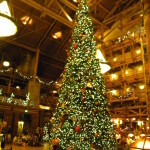 16 Free Indoor Activities at Disney’s Wilderness Lodge…Gotta Love Free! 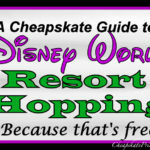 Disney World Resort Hopping: A Cheapskate Guide To Free Fun!